Welcome to www.BloodbornePathogenTrainingOnline.com. Acquire Bloodborne Pathogen Certification today online in minutes! Satisfy OSHA's Bloodborne Pathogen training and certification requirement OSHA Regulation 1910.1030. Discounts are available for organizations. Our LMS allows for instantaneous enrollments and offers compliance record keeping. The bloodborne pathogens standard at 29 CFR 1910.1030(g)(2) requires employers to provide training to any employees who have occupational exposure to blood or other potentially infectious materials, such as employees assigned medical or first aid duties by their employers. The standard at 29 CFR 1910.1030(b) defines "occupational exposure" as "reasonably anticipated skin, eye, mucous membrane, or parenteral contact with blood or other potentially infectious materials that may result from the performance of an employee's duties." 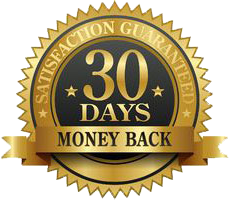 Bloodborne Pathogen certification is offered here at the lowest cost on the internet and comes with a 100% money-back guarantee. Complete your annual OSHA certification today!